What do you get when gold meets the twinkle of diamonds? 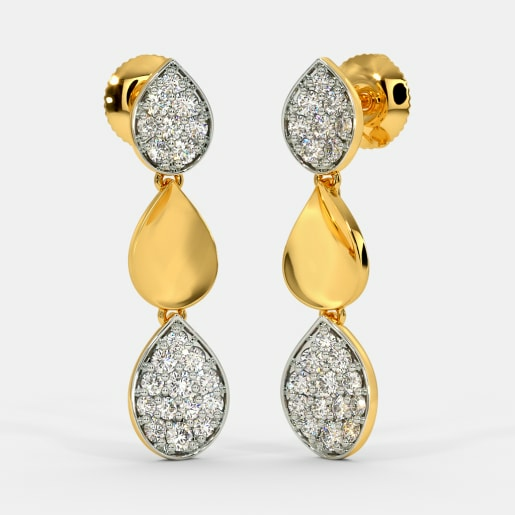 An amazing range of diamond earrings made of gold. 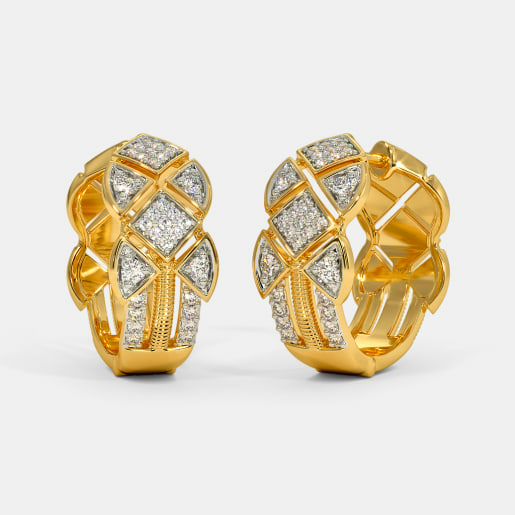 Yes, gold earrings embellished with diamonds will never go out of fashion. Ladies, they are here to stay and grace your ears for years to come. 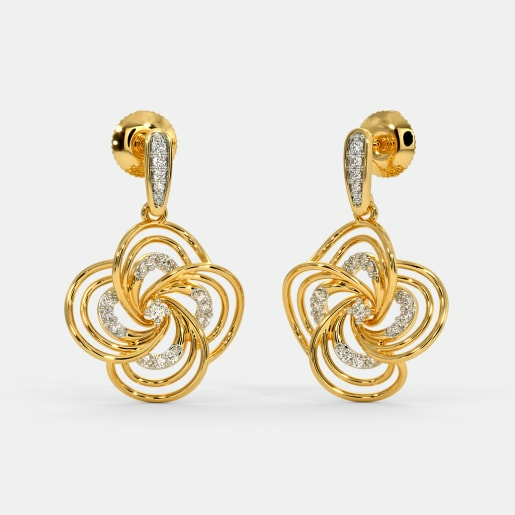 That is precisely why the designers at BlueStone bring to you an exquisite collection of diamond earrings made of white, yellow and rose gold. Browse through our range and choose from the umpteen options available. Varying in colour, shape, and blends, there are pieces in our collection that will get you floored. 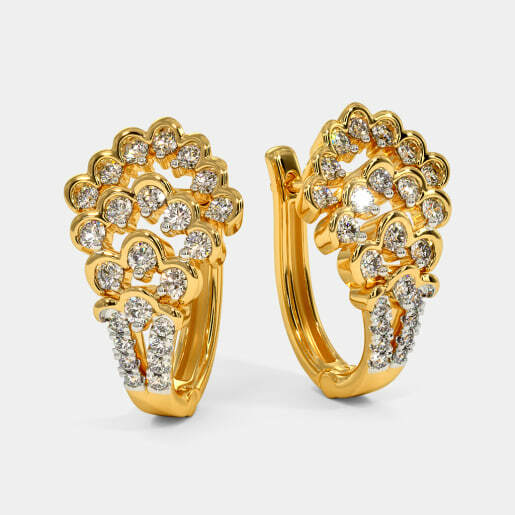 Diamonds can be your friend on a festive day and they do not even want to stay away from you even when the monotony of day-to-day affairs kicks in. 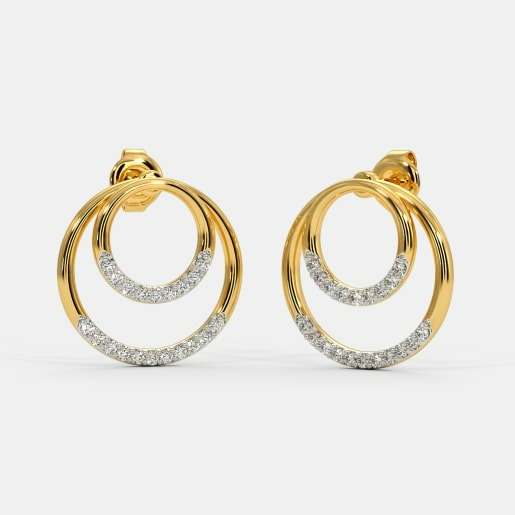 Our designers have crafted stunning diamond earrings that can be worn on festivals days and we have also created functional pieces that can add sparkle to your Monday blue stricken office avatar. Let us take a look at some the trending pieces in the festive collection. 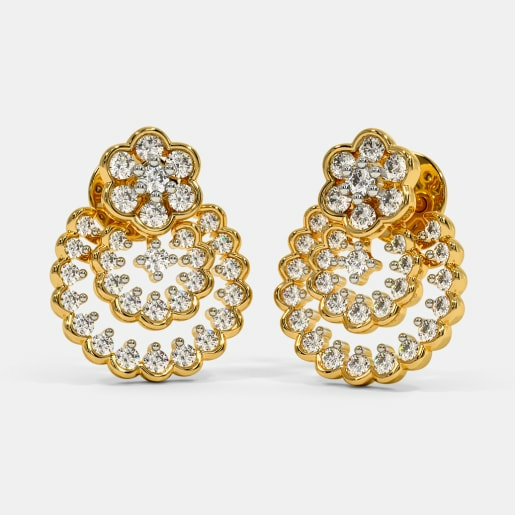 Wouldn’t it be wonderful to bask in the shimmer of the Galliano Earrings, the Creamsicle Earrings, and the Nabha Earrings on a festival day? If you are drop fan, who are we to stop you from sporting them on a festive day? You can try the stunning drop earrings like the Haileey drop Earrings, the Utopia Drop Earrings or the Muse Drop Earrings. There is indeed more to explore. Even when you are neck deep in work pressure, it is important to dress up and show up for work. 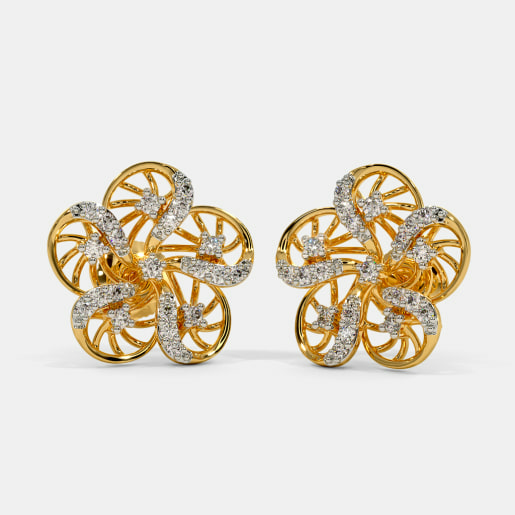 We many not be able to help you with your outfit, but we can surely help you with your earring. And on such days you deserve the best, you deserve diamonds. 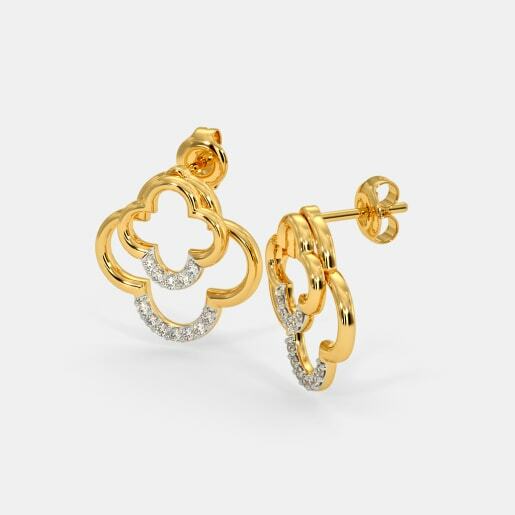 Our workwear collection consists of stunning pieces such as the Georgia Earrings, the Dawnelle Stud Earrings, the Lexie Earrings, and the Genevieve Stud Earrings. 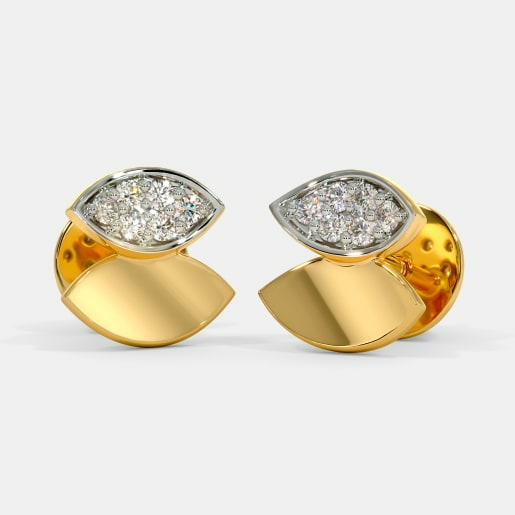 These earrings are contemporary in style and can help you make bold statement. 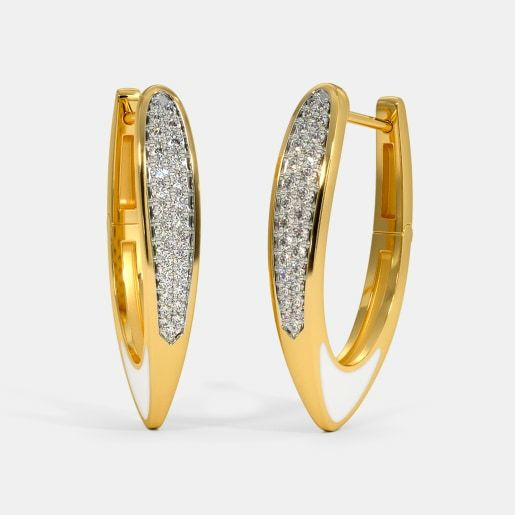 If you love to sport trendy earrings to work, choose either the Aapti Ear Cuffs or the Ara Ear Cuffs. 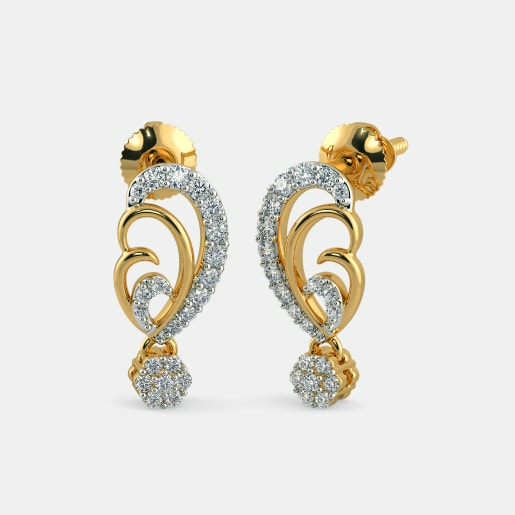 Check out the diamond earrings price across categories and buy the one that fits your style and budget. 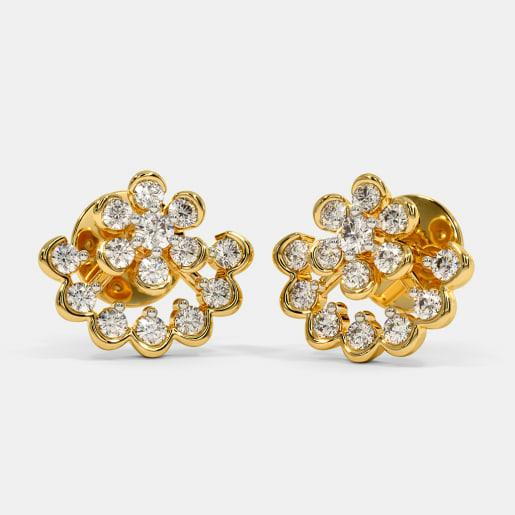 We know that diamond earrings are everybody’s favourites. Not just women, but men and children alike. Here’s a range incorporating perfect blends for all. The man today is really fashion forward, more than you know. Thus, here’s a range exclusively for men. 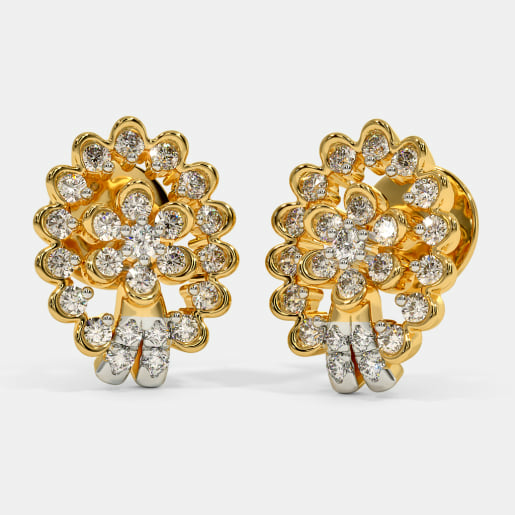 It includes simple studs like the Blanc Earring for Him, the Avoir Earring for Him and the Riche Earring for him. 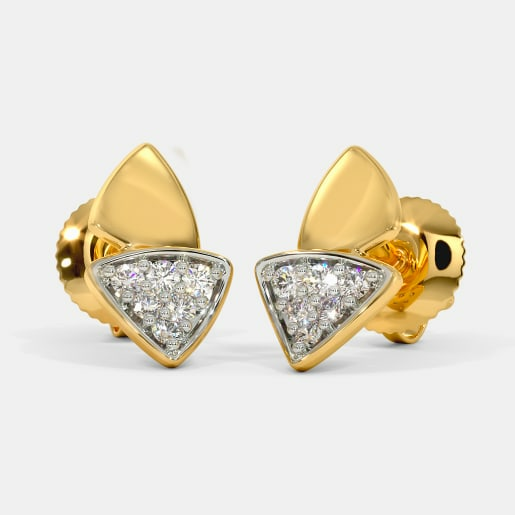 If you are some who loves to make a bold statement, we have the designs like the Hughard Stud for Him, the Radulf Stud for Him and the Homme Earring for Him. We say bring out the soft side of you by wearing them to a family outing. Imagine yourself playing with your kids on a beach sporting these statement pieces. Yes, you are indeed making a bold statement. 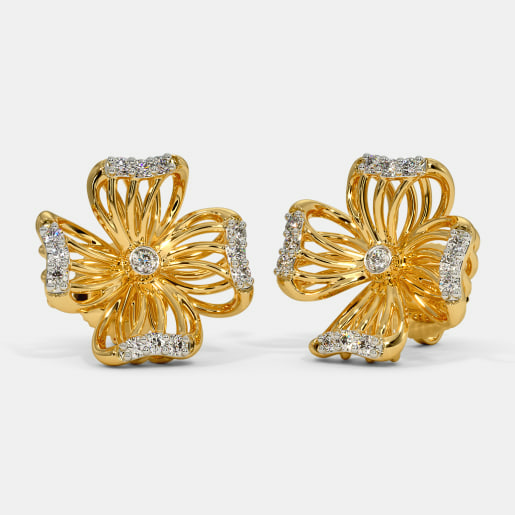 We have exquisitely crafted animal motif diamond earrings for kids. Cute little animal-themed studs include the Cute Meow Earrings for Kids, the Feathered Friend Earrings for Kids and the Red Butterfly Earrings for Kids. 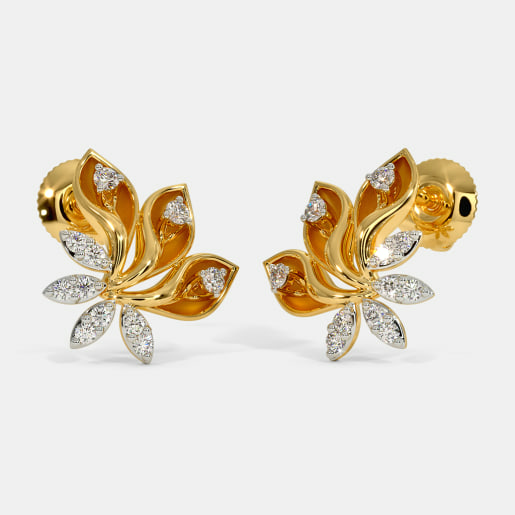 Some of the other bright and colourful designs are seen in the Grapes Earrings for Kids, the Mango Mist Earrings for Kids and the Colour Mist Earrings for Kids. 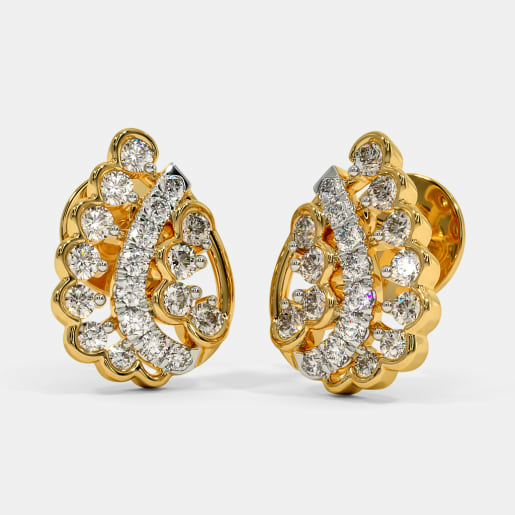 Diamond earrings coupled with your favourite gemstones are just what you should look out for. 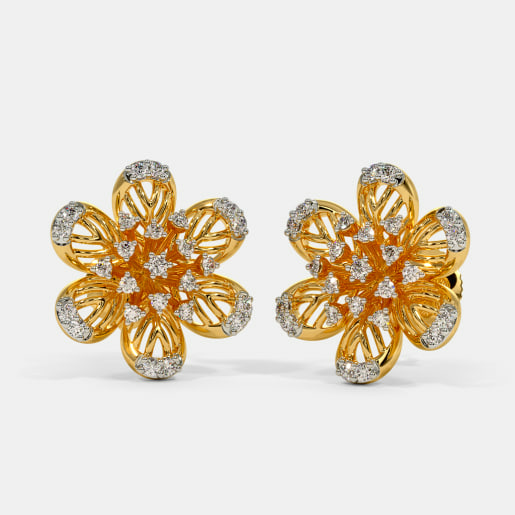 They add colour and zest to the otherwise looking earrings. It’s all about colour play. Not only are they perfect for cocktail parties and various other occasions, they also have sentimental values. If green is your colour, emerald is your stone. 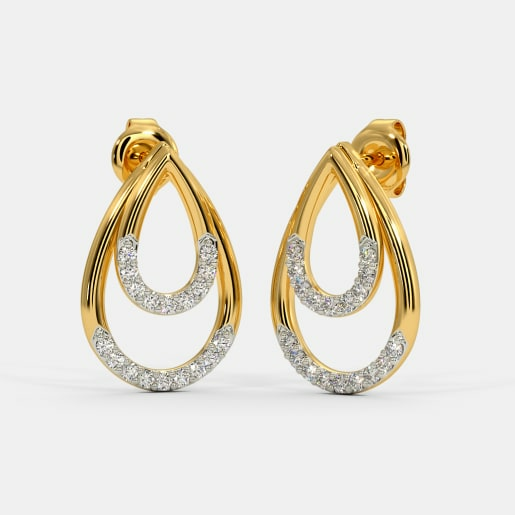 Take a look at the elegant pieces such as the Tarkka Earrings, the Ilisha Hoop Earring, and the Atosi Drop Earrings or bolder patterns like the Lakisha Drop Earrings, the Olivian Earrings and the Nurla Earrings. If it’s red, it has to be rubies. 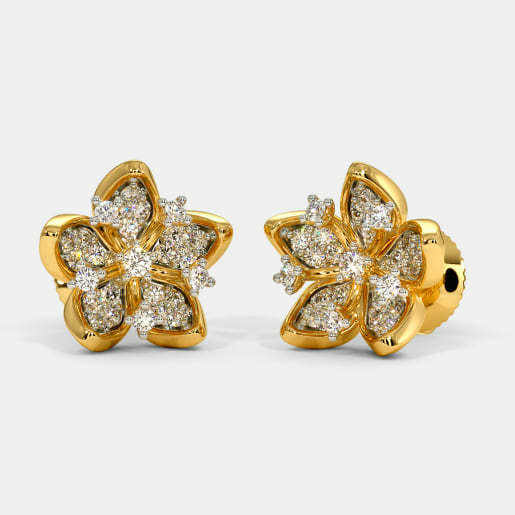 Try the floral patterns of the Aleena Stud Earrings, the Aamara Stud Earrings and the Karla Drop Earrings or choose from the heavy patterns of the Arman Stud Earrings, the Erika Stud earrings and the Stunning Sanjukta Jhumka. The classic combination of blue and white is here to stay. 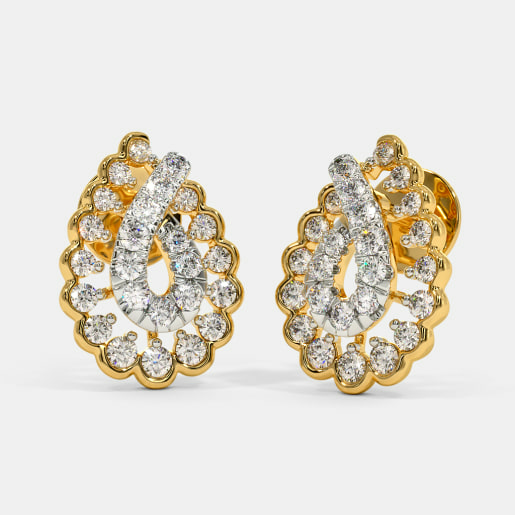 Choose from the plain and neat cuts of topaz like the Quentao Earrings, the Kurant Earrings, and the Calliope Earrings or go with the intricate patterns of the Hastan Earrings, the Lylia Earrings, and the Akshara Earrings. White and white! 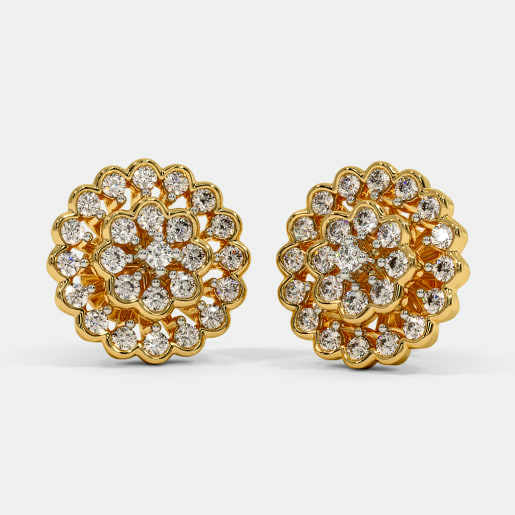 Yes, we are talking about pearl embellished diamond earrings. 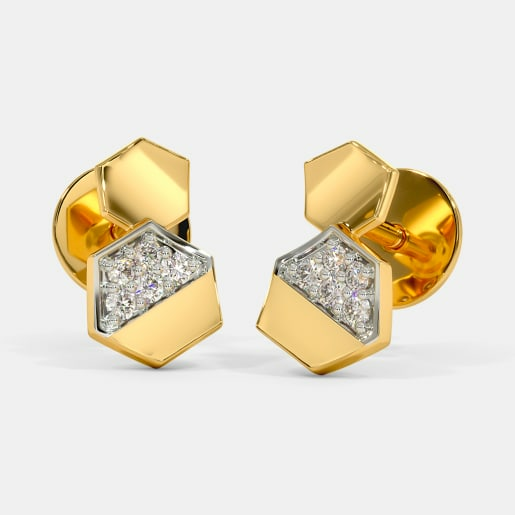 Choose from the simplistic patterns of the Brizo Earrings, the Kopal Earrings, the Ava Earrings and the Jenny Stud Earrings or intricate patterns like the Qiana Drop Earrings, the Afreen Earrings, the Precious Nalini Jhumka and the Meherbaan Earrings. 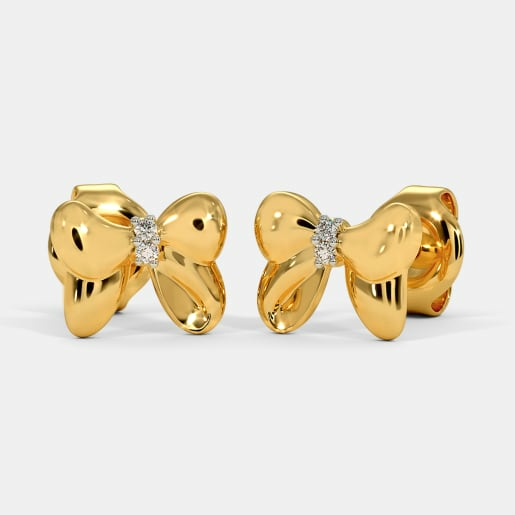 Explore our range and buy as many as you want because we have kept our diamond earrings prices unbelievably affordable.